As Google backs away from plans to introduce a re-engineered search engine to the Chinese market after provoking a chorus of scrutiny from lawmakers and its own employees, the Chinese government has abruptly blocked Microsoft's Bing from the Chinese Internet. The decision removes the only major foreign search engine left in China, according to the Financial Times. It makes Microsoft the latest US tech firm to be ousted from China since the Whatsapp messaging app was blocked in 2017. While the website cn.bing.com couldn't be accessed from the mainland, the state remained accessible outside China. The FT noted that the ban comes amid rumors that trade talks between the US and China are deteriorating (though China on Thursday backed up Larry Kudlow's claims that the talks were progressing as expected). State-owned telecom China Unicom has confirmed the order came from within the government, which said it had spotted "illegal content" on the search engine, though it's still unclear what triggered the ban because China's Cyberspace Administration has refused to comment. However, the New York Times pointed out that the ban followed a viral social media post by former journalist Fang Kecheng, who accused dominant Chinese search engine Baidu - which sops up 70% of China's search traffic - of favoring its own products in its search results. The viral post is believed to have driven more traffic to Bing. Microsoft confirmed that Bing is "currently inaccessible" in China but didn't say whether this is a temporary or permanent ban. 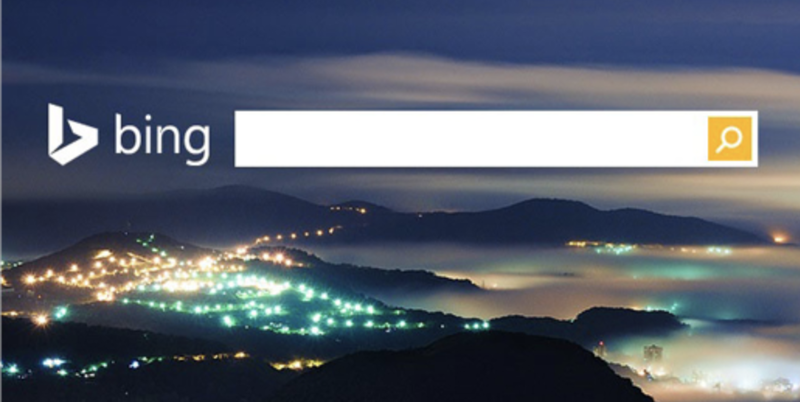 "We’ve confirmed that Bing is currently inaccessible in China and are engaged to determine next steps," Microsoft said in a statement. The Communist Party's seemingly arbitrary decision to bar Bing comes after Microsoft's yearslong efforts to ingratiate itself with the Chinese leadership. As NYT reporter Paul Mozur explained in a twitter thread, Microsoft has repeatedly bent over backwards to accommodate China, including tolerating the widespread piracy of its products, only for its search engine to be abruptly blocked from the country's Internet. It’s worth a moment to mull the long suffering of Microsoft and the mixed results of its long term engagement of China’s government. The company’s software is massively pirated in China, by companies+government ministries+universities. While China is one of its largest markets by users, revenue has lagged. Ballmer once noted China earned about 5% the revenue of the US even tho PC usage was about the same. When Microsoft pulled support for an old version of Windows to encourage a switch to newer versions (which were harder to pirate), Chinese authorities raided their offices and hit them with an anti-trust inquiry. Beijing was worried about its over reliance on a foreign product. To bullet proof Windows 10 against China government concerns, Microsoft partnered with CETC, a state-run firm that sells electronics to China’s military and is a huge supplier of equipment for the Xinjiang surveillance apparatus. It got approval, yet now Bing is down. Interestingly Fang was conflicted about a Google censored search: I feel people in the West say...they are against Google coming back, as they have nothing to do with China. But as someone who wishes Chinese can get better-quality information, I can’t 100% stand against it. As Fang told the NYT, Bing compromised and decided to acquiesce to China's censorship needs to avoid a fate similar to Google's (which pulled out of China in 2010) . "Bing compromised in order to have a Chinese version to get into the country," said Mr. Fang, a doctoral candidate at the Annenberg School for Communication at University of Pennsylvania. "It would be pathetic if even this can’t exist. We have one less alternative." But given the homogeneity of the Chinese Internet ecosystem, Bing's presence - even if it self-censored search results - was still a net benefit for China's consumers, Fang said. "I feel people in the West can say from their point of view that they are totally against Google coming back, as they have nothing to do with China," he said. "But as someone who truly wishes that Chinese are able to get better-quality information, I can’t 100 percent stand against it."